"For many of us, feelings of deficiency are right around the corner. It doesn't take much--just hearing of someone else's accomplishments, being criticized, getting into an argument, making a mistake at work--to make us feel that we are not okay. Beginning to understand how our lives have become ensnared in this trance of unworthiness is our first step toward reconnecting with who we really are and what it means to live fully. "Believing that something is wrong with us is a deep and tenacious suffering," says Tara Brach at the start of this illuminating book. This suffering emerges in crippling self-judgments and conflicts in our relationships, in addictions and perfectionism, in loneliness and overwork--all the forces that keep our lives constricted and unfulfilled. 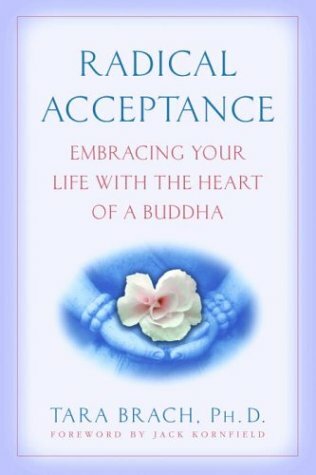 Radical Acceptance offers a path to freedom, including the day-to-day practical guidance developed over Dr. Brach's twenty years of work with therapy clients and Buddhist students.